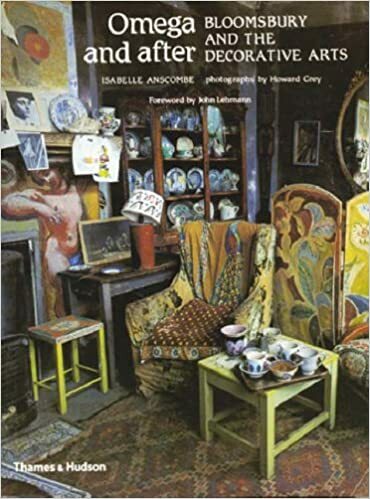 While the literary output of members of the Bloomsbury Group has been thoroughly scrutinized, another aspect of their activity has been largely overlooked, that is, their designs for the decorative arts. The Omega Workshops, started in London in 1913 by Roger Fry, were a venture without precedent, aiming to produce decorative art from a background - not of crafts - but of painting. They boasted such talents as Vanessa Bell, Henri Gaudier-Brzeska, Duncan Grant and Wyndham Lewis. The Omega closed in 1919, but Bloomsbury decorative work did not cease. Vanessa Bell remained the central figure; settled into life at Charleston in Sussex, she and Duncan Grant continued to design objects and schemes, and her children later made their own contributions, Quentin as potter and Angelica as painter. Isabelle Anscombe's text, drawing on unpublished sources, catches the flavour of the time and its characters, from bohemians to haut monde. Howard Grey was allowed to print and reproduce early snapshot negatives, and his own photographs, begun before Duncan Grant's death, include unique records of Charleston still inhabited by one of its creators.